The debate over the environment and governmental policies has raged on for years. The debate has intensified as the current administration has sided with environmental activists and granted more authority to government agencies. 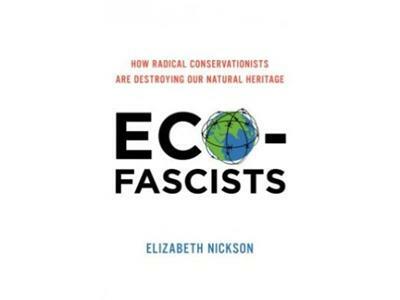 Elizabeth Nickson's new book Eco-Fascists seeks to introduce you to the environmental movement and the elements that are working to push their agenda along. Her book also details those fighting against the agenda and how they're doing it. Elizabeth Nickson is a journalist who has been a national columnist for Canada’s the National Post, European Bureau chief of Life Magazine, a reporter for Time magazine, and written for many outlets, including: The Guardian, The Observer, The Independent, Tatler, The Sunday Telegraph, Vogue, Femme, Vogue Hommes, The Spectator (UK), Saturday Night, Chatelaine, and Harper’s Magazine. She lives in Salt Sprint, Canada, which is a small island off the coast of Washington state.